Everyone in the office is always busy, but the mail waits for no one. Since no one has time to organize it, your mailroom soon becomes cluttered and disorganized. Employees spend valuable time sorting through clutter and can lose or misplace important items. 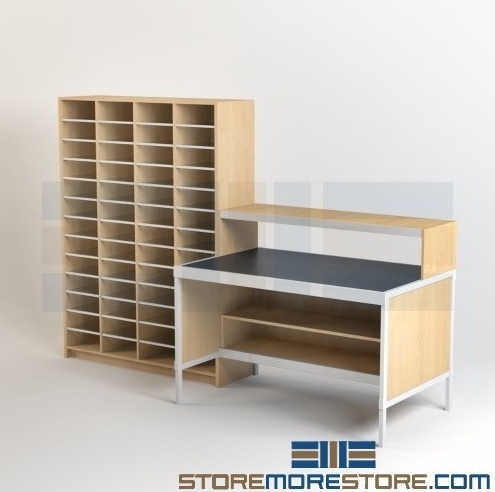 Modular mailroom furniture sorter kits and casegoods provide reusable, adjustable storage and sorting solutions so you can stay organized and on task. 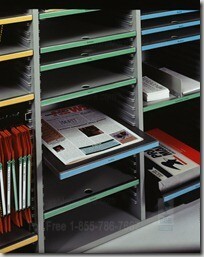 The modular mailroom furniture sorter kits are designed for a wide variety of applications. Tables, cabinets, carts, through-wall sorters, and cubbies are just a few options. Constructed with aluminum extrusion framework, these casegoods are the strongest in the industry. Hundreds of sorters and complimentary options such as riser platforms, display boards, and dump rims are also available help organize your mailroom. With incredibly flexible options, the modular mailroom furniture can be modified at any time to adapt to your needs. If you relocate or simply need to move your furniture, it easily comes with you. This is an eco-friendly alternative to built-in millwork. 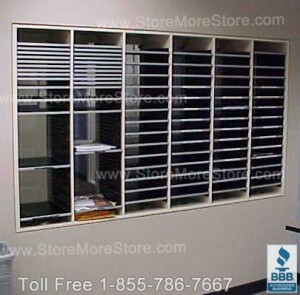 Modular mailroom furniture requires no construction costs and is completely reusable. Sort modules come with label holders and Excel/Word templates. The label holders easily snap on and off for quick changes. Sorters come assembled and ready to use. Just unpack and slide in the shelves. 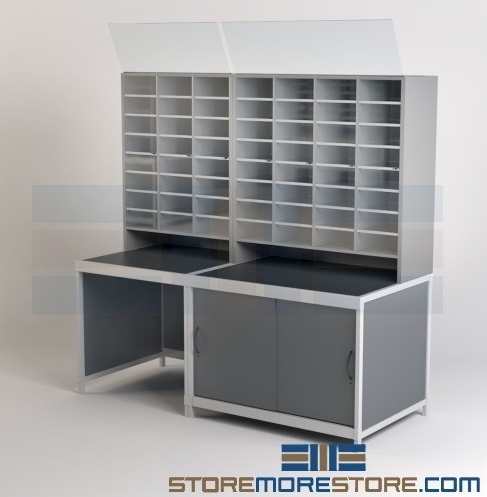 Modular mailroom furniture is available to buy online in standard or customized configurations. 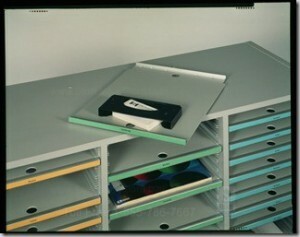 To order your mailroom casework, please call us at 1-855-786-7667.